Walker & Company, 9780802735409, 377pp. Mia Moore has spent her life searching for signs. A sign she'll fall in love. A sign she'll make it into a highly ranked university. A sign that the summer before senior year will be the best one ever. But when Mia is diagnosed with an aggressive form of leukemia, the only sign she wants to see is that she will survive cancer. Until she's better-meaning no throwing up, no hospital stays, and definitely no wig-Mia doesn't want anyone to know she's sick. And she certainly doesn't want to feel more than friendship for the one person who does know what she's going through, her best friend, Gyver. 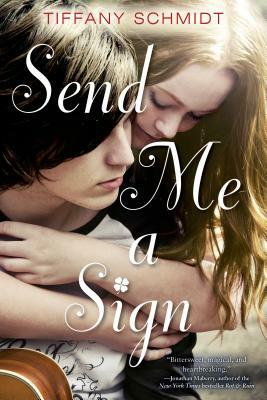 But the sicker Mia gets, the more she realizes that not even the clearest signs offer perfect answers, and in order to discover what will happen in her life, she will have to find the courage to live it.